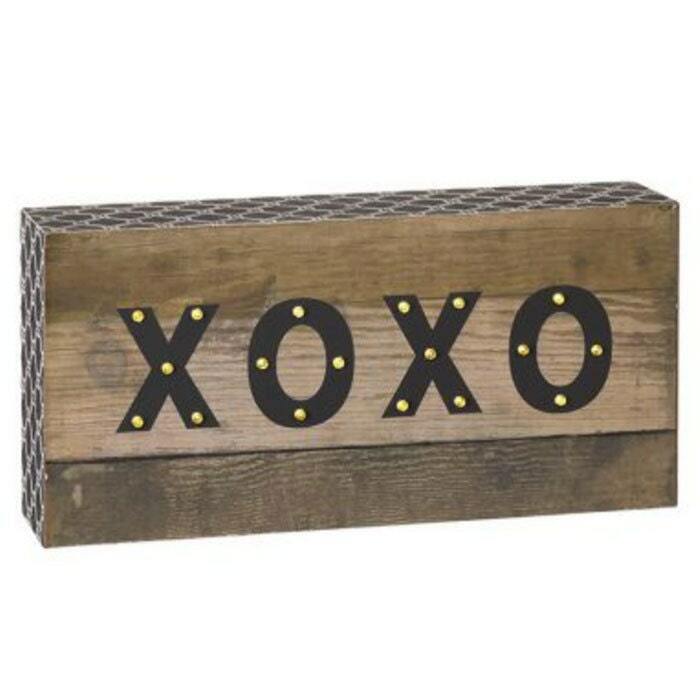 If you're looking for something rustic and a little bit different to add to your home decor, then our wooden LED Lightbox is just perfect. 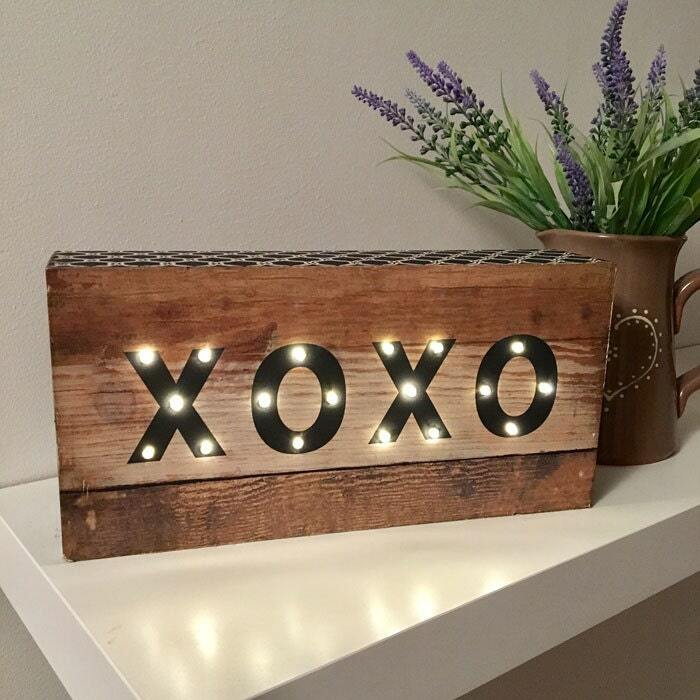 Whether you're giving our XOXO (hugs and kisses) Lightbox as a gift or keeping it for yourself, we're sure it'll look great wherever it goes. 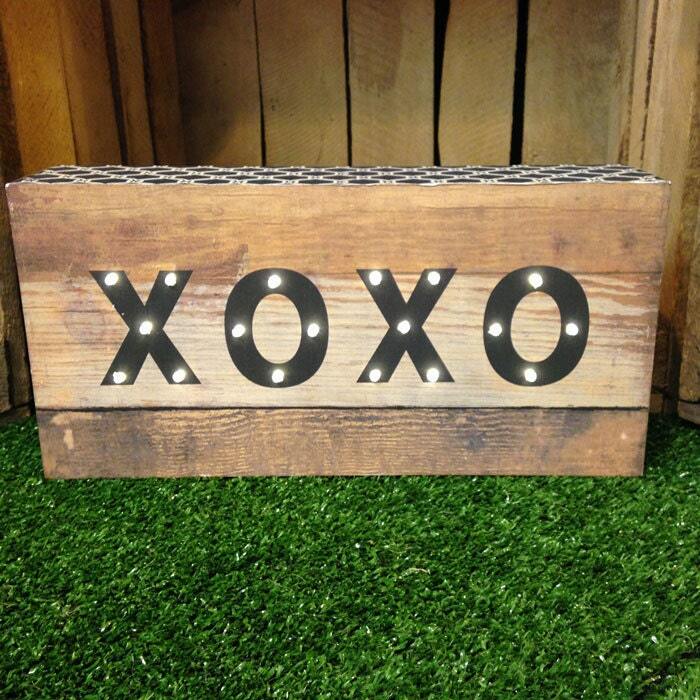 Made from MDF the box itself contains a string of 18 little spot LED bulbs fitted in around the letters XOXO. 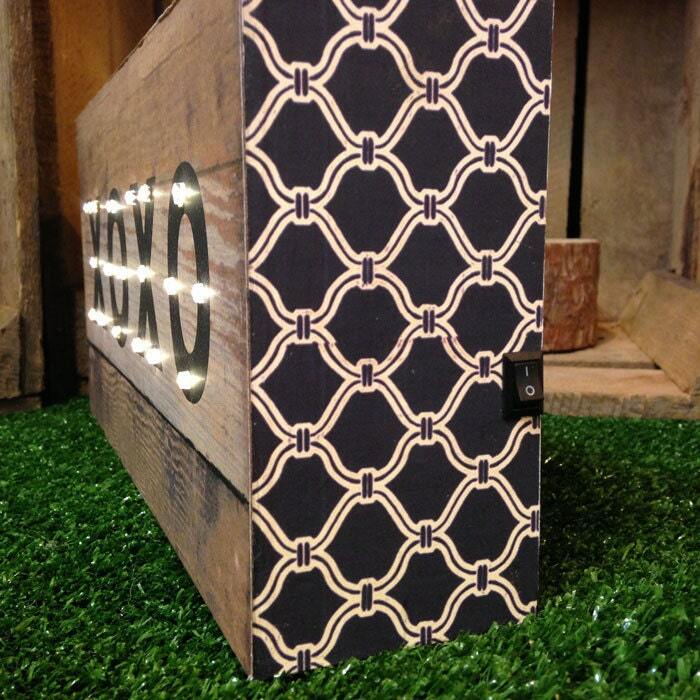 The box is then covered in a wooden effect overlay with a different and patterned overlay around the edges. The box features an on/off switch to the side and battery compartment to the back. Every Wooden Lightbox requires 2xAA batteries and as the bulbs are LED, they won't drain your batteries. There's also no heat from the bulbs either, so perfect for a night light or to be left on for long periods of time. If you have any further questions or queries about any of our products or lights, please do get in touch.